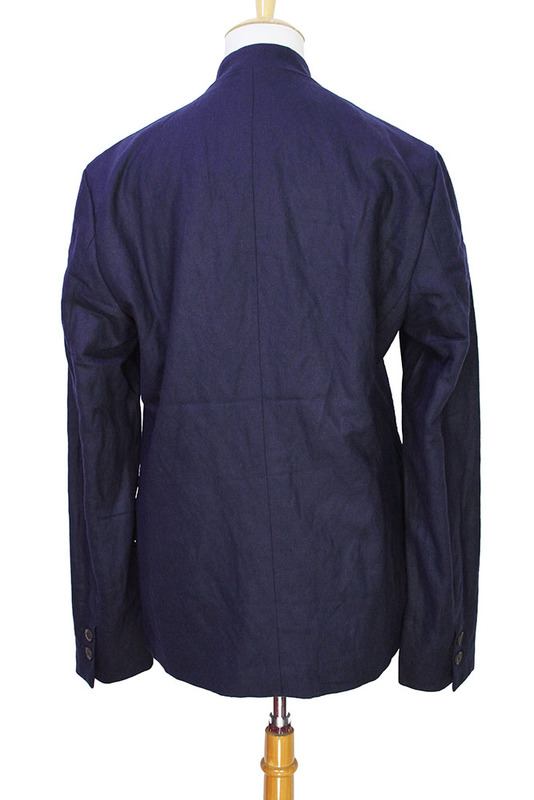 Novemb3r 2 button fastening jacket in blue night colour. Notched round collar. Cut-away style. left chest pocket and 2 pockets with flaps. 2 button cuffs. Fully lined in black cotton. Single inside pocket on left side. Lovely soft fabric, this jackets matches the trousers in the same fabric.